Kogi State University (KSU), Anyigba, Interim Joint Matriculation Board (IJMB) Programme Admission Form, Courses, Subjects Combination, Admission Requirements, Application Guidelines and Entrance Examination Dates for 2018/2019 Academic Session. 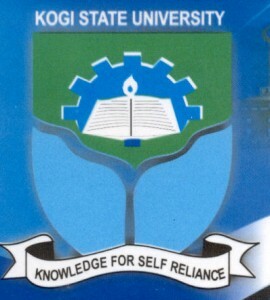 Applications are invited from suitably qualified candidates for admission into the Kogi State University (KSU), Anyigba, Centre for Pre-Degree and Diploma Studies, Interim Joint Matriculation Board (IJMB) programme for the 2018/2019 academic session. Latest Update: Kindly Note that registration for IJMB have been extended till 25th January, 2019. Government/Literature in English/Christian Religious Studies/ Islamic Studies (GLCIS). Candidates should possess credits in at least five relevant subjects in the Senior Secondary School Certificate Examination WAEC/NECO/GCE/NABTEB at not more than two sittings. Login to your profile if already registered, or create a profile using the registration. On the payment confirmation page is your transaction details including transaction reference, amount to pay for Interim Joint Matriculation Board (IJMB) application. Click on the “Remita proceed button” for redirection to Remita, where you can pay using any of the available channels including debit or credit cards, internet banking, mobile wallet, bank branch, Remita website etc. After successful online payment, the user is redirected back to the portal and can proceed with the service. If an alternative channel was used (bank branch, internet banking), you are required to log back into the portal and proceed to obtain service. If the response is successful, navigate back to print registration Slip.